Sunday 31st March 2013 – 2.05pm – Chris Kowalik. A woman has been flown to hospital following a collision with a car in Shrewsbury. West Midlands Ambulance Service was called to the Cathedral Town Walls shortly before 10.30am today. Two ambulance crews, a senior paramedic officer in a rapid response vehicle and the Midlands Air Ambulance from Cosford attended. A West Midlands Ambulance Service spokesman said: “The woman, who is in her eighties had abrasions to her head, a suspected fractured pelvis, a suspected broken leg and a suspected abdominal injury. “Drugs and pain relief were administered. She was sedated, anaesthetised at the scene and her airway maintained. Saturday 30th March 2013 – 9pm – Chris Kowalik. A woman has died and four other people have been taken to hospital following a road traffic collision in Shropshire. West Midlands Ambulance Service was called to the A5 at Montford Bridge shortly after 5pm today. A paramedic area support officer in a rapid response vehicle, a senior paramedic officer in a rapid response vehicle, the MERIT team of a trauma doctor and critical care practitioner in a rapid response vehicle, four ambulances and the Midlands Air Ambulances from Cosford and Staffordshire attended. A West Midlands Ambulance Service spokesman said: “Two vehicles had been involved in a collision. “In one of the vehicles was a woman who was confirmed dead at the scene. A man in his seventies had been trapped for approximately 40 minutes. He had a chest injury and numerous fractures. He was given oxygen at the scene and was fully immobilised before being flown to the University Hospital of North Staffordshire. A 9 year old girl who was in the same vehicle, was flown to the same hospital with an abdominal injury. Saturday 30th March 2013 – 12.40pm – Chris Kowalik. A pedestrian has been airlifted to a major trauma centre following a collision with a lorry in Worcestershire. West Midlands Ambulance Service was called to Bromyard Road, Knightwick shortly after 10.50am today. A community paramedic in a rapid response vehicle, a paramedic area support officer in a rapid response vehicle, the MERIT team of a trauma doctor and a critical care practitioner, an ambulance crew and the Midlands Air Ambulance from Strensham attended. A GP who was in the area at the time had already stopped to help. Saturday 30th March 2013 – 12.10pm – Chris Kowalik. A motorcyclist has died following a collision with a car in Worcestershire. A community paramedic in a rapid response vehicle, a senior paramedic officer in a rapid response vehicle, the West Midlands CARE team and an ambulance crew attended. A West Midlands Ambulance Service spokesman said: “The motorcyclist had numerous injuries. 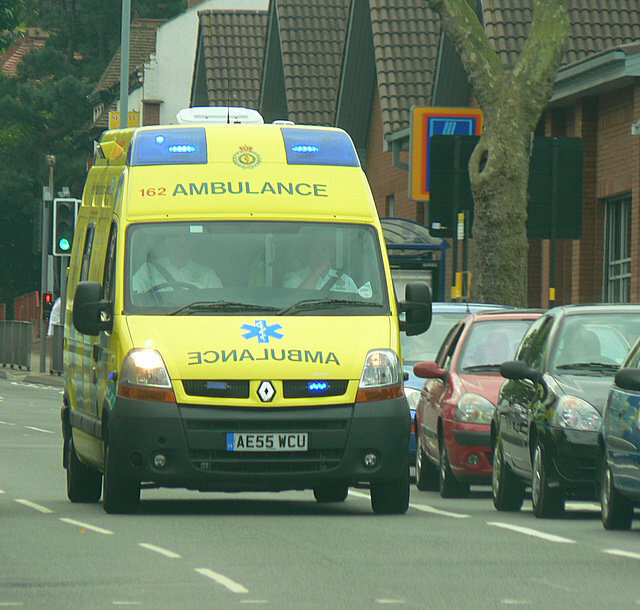 Crews administered advanced life support techniques at the scene and en-route to the major trauma centre at Queen Elizabeth Hospital Birmingham. 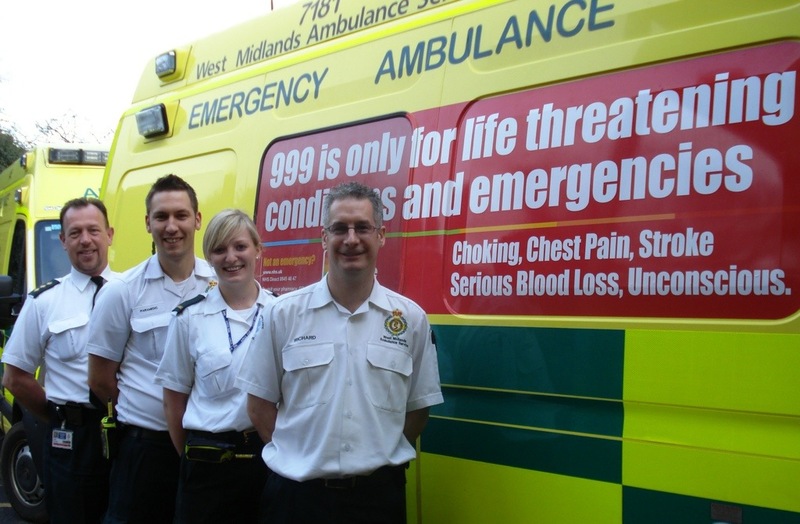 The West Midlands Central Accident Resuscitation & Emergency (CARE) team is a group of approx. 60 volunteer Doctors and Nurses who provide a medical team in support of the West Midlands Ambulance Service. Each team consists of a Doctor, Nurse, WMAS Incident Officer and a Trainee. The team is able to offer advanced surgical intervention, airway and equipment support. The CARE Team was formed in 1990 and is affiliated with the British Association for Immediate Care (BASICS). The Scheme is funded entirely by charitable donations and is a registered charity number 1129027. Friday 29th March 2013 – 7.25pm – Chris Kowalik. A man has been airlifted to hospital after falling approx.. 25 metres from the top of a rockface in Herefordshire. West Midlands Ambulance Service was called to Symonds Yat shortly after 2.45pm today. A paramedic area support officer in a rapid response vehicle, an ambulance crew and the Midlands Air Ambulance from Strensham attended. Emergency services from Gloucestershire also attended. A West Midlands Ambulance Service spokesman said: “The man, who is in his twenties was out rockclimbing with friends. It was fortunate that his fall had been broken by some bracken. He was found half-way up the rock face. Then followed a rescue lasting approximately three hours. “All emergency and rescue services worked together to get him to the bottom of the rockface. He was then carried to the waiting land ambulance which transported him to the air ambulance to be flown to Hereford County Hospital. 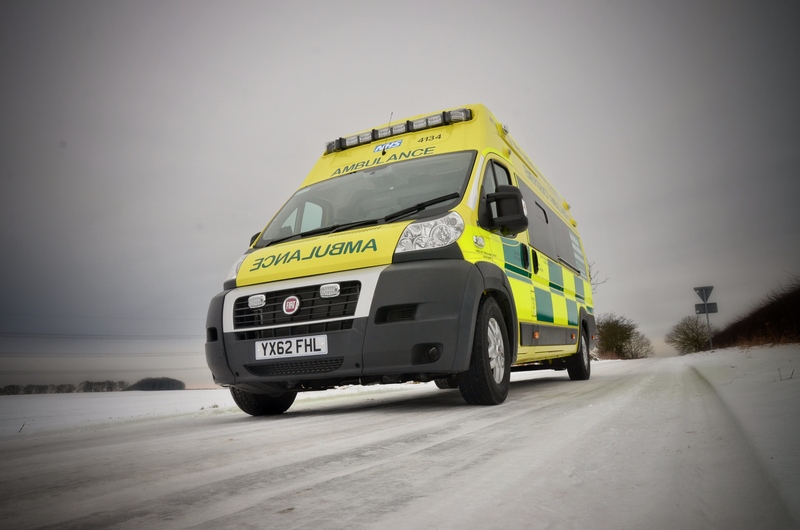 With the wintry weather conditions likely to persist over the Easter bank holiday, there are fears that demand on the emergency ambulance service could exceed predictions with calls rising to between 10 and 15 per cent above normal. Ambulance crews will deal with a range of emergency incidents over the four days and the Trust has mobilised additional staff to staff ambulances and response cars so that the anticipated rise in 999 calls can be dealt with safely. 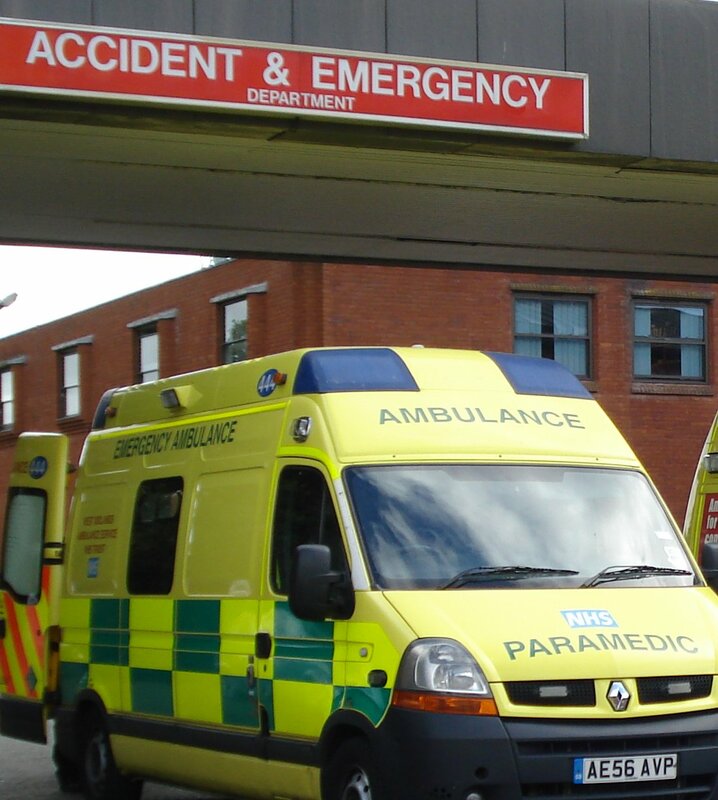 A West Midlands Ambulance Service spokesperson said: “The Easter holiday always proves to be a busy time for the ambulance service with the public taking the opportunity to enjoy the first holiday break of the year. “We anticipate 999 calls to rise and therefore we would ask the public to continue to take extra care in the wintry conditions. During the bank holiday period, the ambulance service will be working alongside other agencies to ensure patients receive the appropriate care and treatment. In cases where illness and injury is not life threatening, it may be appropriate to consider alternatives to calling 999 such as NHS Direct, Walk-in Centres or local pharmacists. 1. Examples of 999 calls that could have been dealt with elsewhere: ear pain, toothache, stubbed toe, broken finger nail, sore throat and hangover. • Self care – A range of common illnesses and injuries can be treated at home by combining a well-stocked medicine cabinet with plenty of rest. • NHS Direct – NHS Direct provides confidential health advice and information by phone (0845 46 47), through digital TV and online (www.nhs.uk), 24 hours a day. • Pharmacist – Your local pharmacist can give you advice on illnesses and the medicines you need to treat them. Visit a pharmacist when you are suffering from a common health problem which does not require being seen by a nurse or doctor. • GP – GP surgeries provide a range of services by appointment, including medical advice, examinations, and prescriptions. In an emergency, a GP can also visit your home outside of opening hours by contacting your local surgery and following the recorded instructions. • NHS walk-in centre, urgent care centre, or minor injuries unit – You do not need an appointment and you will be seen by an experienced nurse or GP. These services give healthcare and advice and most are open from early in the morning until late at night. Visit one of these centres if you need medical treatment or advice which does not need a visit to A&E or a medical appointment. Wednesday 27th March 2013 – 11.30pm – Chris Kowalik. A man has been seriously injured in a collision with a lorry in south Shropshire. 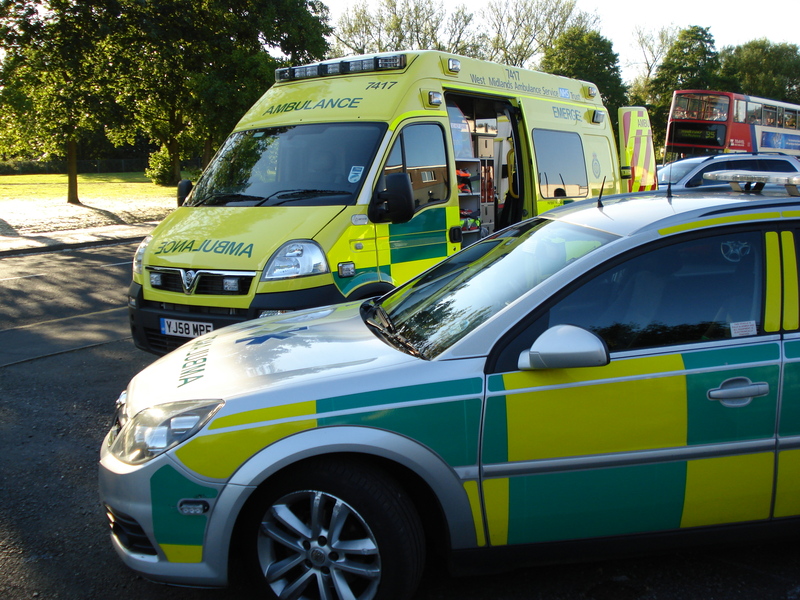 West Midlands Ambulance Service was called to the A49 at Ludford shortly after 7.50pm today. A community paramedic in a rapid response vehicle, a senior paramedic officer in a rapid response vehicle, an ambulance crew, a BASICS Emergency Doctor from MARS (Mercia Accident Rescue Service) and the MERIT team of a trauma doctor and a critical care practitioner attended. A West Midlands Ambulance Service spokesman said: “A pedestrian had collided with a lorry. He had a head injury and a suspected pelvic injury. Mercia Accident Rescue Service (MARS) is a group of highly trained and experienced pre-hospital practitioners who provide enhanced immediate medical care to the people of Herefordshire and Worcestershire on a voluntary basis in support of West Midlands Ambulance Service. It currently comprises 15 doctors and two advanced nurse practitioners. The scheme is a registered charity supported by local fundraising and affiliated with the British Association for Immediate Care (BASICS). For more information go to http://www.marsbasics.org.uk. Tuesday 26th March 2013 – 4.45pm – Chris Kowalik. Four new Heartstart instructors have recently completed their training to enable them to deliver two-hour courses in Herefordshire on lifesaving techniques. Herefordshire Heartstart is a charity supported by West Midlands Ambulance Service that is training thousands of people aged 10 or over in the county lifesaving techniques including CPR (cardiopulmonary resuscitation), the management of severe bleeding, loss of consciousness, choking and chest pain. The new instructors joined the team last year and have been helping at courses to give them more experience of how they are delivered. The volunteers then attended an instructor training course and are now approved to deliver Heartstart training. They will now be instructing as part of a team of volunteers, who regularly deliver courses all over Herefordshire on how to save a life. Herefordshire Heartstart runs courses for the public, for groups and businesses. The courses are free, but the charity relies on financial donations to keep the service running. Herefordshire Heartstart is affiliated to the British Heart Foundation, but does not receive funding for the community scheme to deliver this locally. A ‘999’ call for an ambulance in Shropshire could result in a visit from a Shropdoc General Practitioner. Around 25 GPs from Shropdoc are providing support to West Midlands Ambulance Service 4 days a week (Monday to Friday) until July 2013. 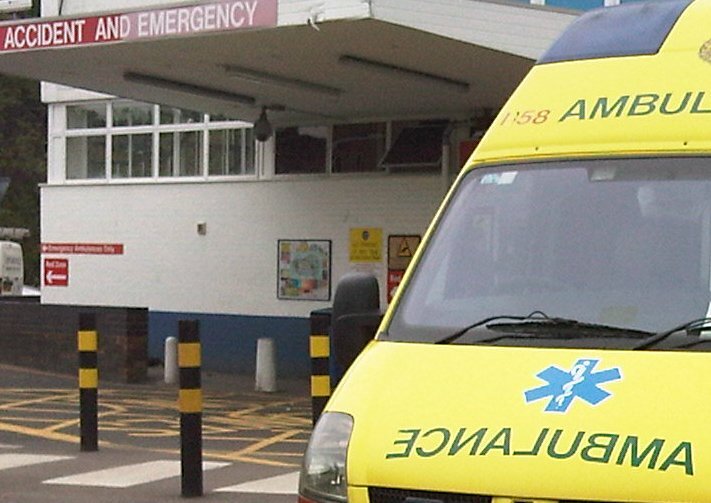 The GPs will receive requests to assess patients who do not require a trip to A&E from paramedics in the community or in the Control Centre in Brierley Hill. The aim of the scheme is to provide high quality care closer to the patient’s home. This will help reduce the number of inappropriate admissions to hospital and unnecessary visits to the A&E departments. Shropshire County and Telford & Wrekin Clinical Commissioning Groups are supporting the scheme by providing funding for the next 4 months. Four paramedics based in the Black Country are to take on an endurance challenge; hiking 30 miles across Exmoor carrying a 30lbs weight in under 12 hours. Mark Gibbs, Michael Howe and Sarah Postles (all based in Willenhall), Rebecca Price (based in Dudley) and Mark Gibbs’ brother Mat will compete in the Exmoor 30:30 challenge on September 14th. Monday 25th March 2013 – 5.30pm – Suzie Fothergill. 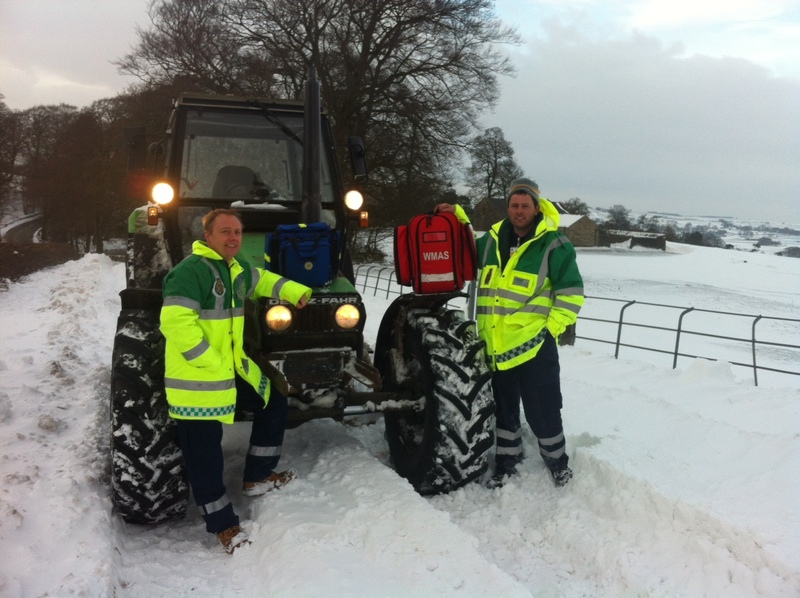 As the snow fell heavily across Staffordshire and the West Midlands Region this weekend there was no stopping Flash and Longnor Community First Responders (CFRs*) from getting to members of the community that needed their help. When the weather over Staffordshire Moorlands began to deteriorate and roads became virtually impassable the Flash and Longnor CFRs found themselves being unable to respond in their normal 4×4. Undeterred by the horrendous weather conditions the responders decided to utilise another resource that was available to them; Farmer and CFR Darren Barlow’s tractor! Matt Heward, Community Response Manager for West Midlands Ambulance Service said: “The wintry weather meant that emergency service vehicles faced some treacherous road conditions. In some remote rural areas that had been hit heavily with snow, ambulances were unable to reach patients as quickly as usually possible. “Thanks to Flash and Longnor’s quick thinking they were able to reach a number of people suffering from medical emergencies as quickly as possible, whilst ambulance resources battled their way through to back them up. “In many illnesses or injuries simple interventions can be performed in order to save lives or prevent disability so getting someone there as quickly as possible is critical. *CFRs are groups of volunteers that respond to emergencies on behalf of West Midlands Ambulance Service, prior to the arrival of an ambulance. CFRs help reach those people, suffering from medical emergencies, in the remote rural communities fast. CFR are trained by the Ambulance Service to a nationally recognised level and maybe requested to attend to medical emergencies such as cardiac arrest, chest pain, bleeds, diabetic emergencies, strokes and breathing problems. Pictured: Adam Rowbottom and Darren Barlow Flash and Longnor Community First Responders. Monday 24th March 2013 – 5.30am – Steve Parry. A man has died in a road traffic collision in Alcester yesterday evening (Sunday). West Midlands Ambulance Service was called to the A441 Evesham Road, Cookhill at around 5.30pm. An ambulance, a paramedic in a rapid response car; a paramedic officer together with the Warwickshire and Northamptonshire Air Ambulance and Midlands Air Ambulance aircrew in a rapid response car from Strensham, attended the scene. A West Midlands Ambulance Service spokesman said: “Crews arrived to find a single vehicle involved in a collision with a tree. Adverse weather conditions set to continue overnight and into Monday morning. Please drive with extreme caution. Icy conditions continue across the West Midlands. Ambulance crews report side roads and rural areas proving especially difficult . Take extra care if you need to go out. Icy road conditions in many parts of the West Midlands described as ‘Shocking’ by ambulance staff. Drive with extreme caution. Sunday 24th March 2013 – 7am – Steve Parry. Two people have been taken to hospital following a road traffic collision in Sheldon, Birmingham this morning. West Midlands Ambulance Service was called to the junction of Coventry Road and Barrows Lane in Sheldon just after 2.30am. Two ambulances, a paramedic in a rapid response vehicle and a paramedic officer were sent to the scene. A West Midlands Ambulance Service spokesman said: “Ambulance crews responded to a road traffic collision involving a car and lamppost. “Two men travelling in the car were trapped in their vehicle. “A front seat passenger, a man believed to be in his twenties, received serious head and chest injuries. The unconscious patient was rapidly extricated from the vehicle by ambulance staff and taken to Queen Elizabeth Hospital. Sunday 24th March 2013 – 6.45am – Steve Parry. Five people have been taken to hospital following a road traffic collision in Walsall overnight. West Midlands Ambulance Service was called to Ablewell Street, Walsall just after 2am. Two ambulances; a paramedic in a rapid response vehicle; a paramedic officer, and a doctor from the Medical Emergency Response Incident Team (MERIT) were sent to the scene. A West Midlands Ambulance Service spokesman said: “Ambulance crews responded to a road traffic collision following reports that a taxi had collided with a lamppost. “Five men, in their late teens and early twenties, travelling in the back of the taxi were treated at the scene by ambulance staff. “Three men received minor cuts and abrasions. One patient suffered an arm injury and a further male was complaining of neck pain. “All the patients were taken to Walsall Manor Hospital. 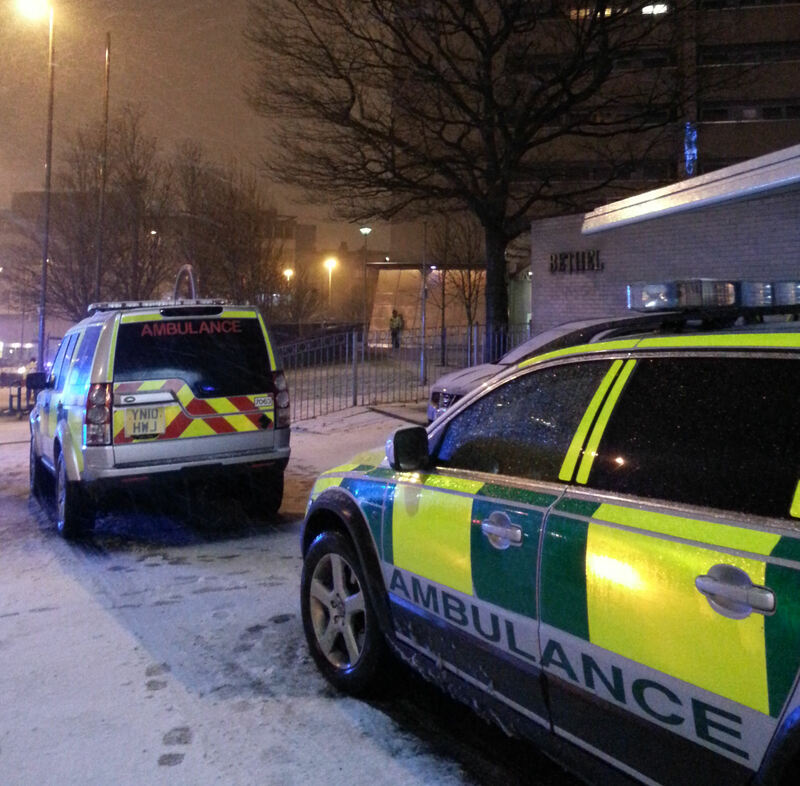 Icy conditions now being reported by ambulance crews across the West Midlands. Please drive with extreme caution. 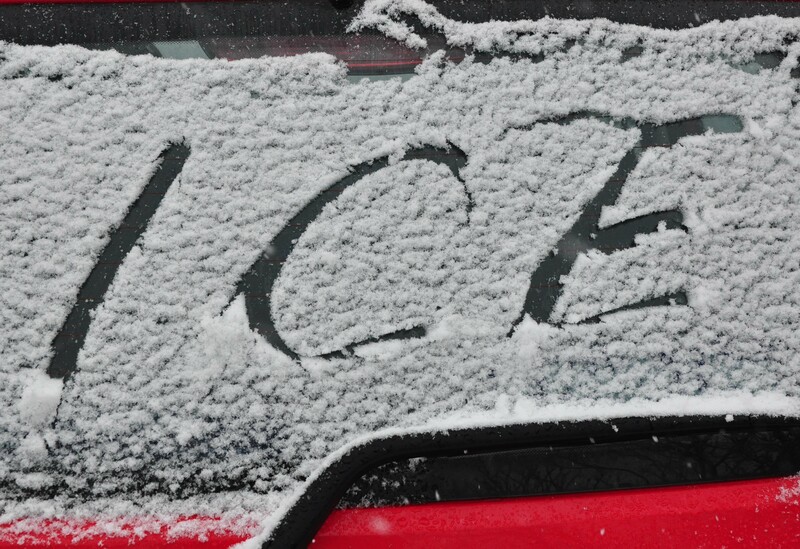 Expect icy conditions on the roads overnight and into Sunday. Please drive with extreme caution. Saturday 23rd March 2013 – 6.30am – Steve Parry. An elderly woman has been taken to hospital following a fire at a residential tower block in Birmingham yesterday evening (Friday). 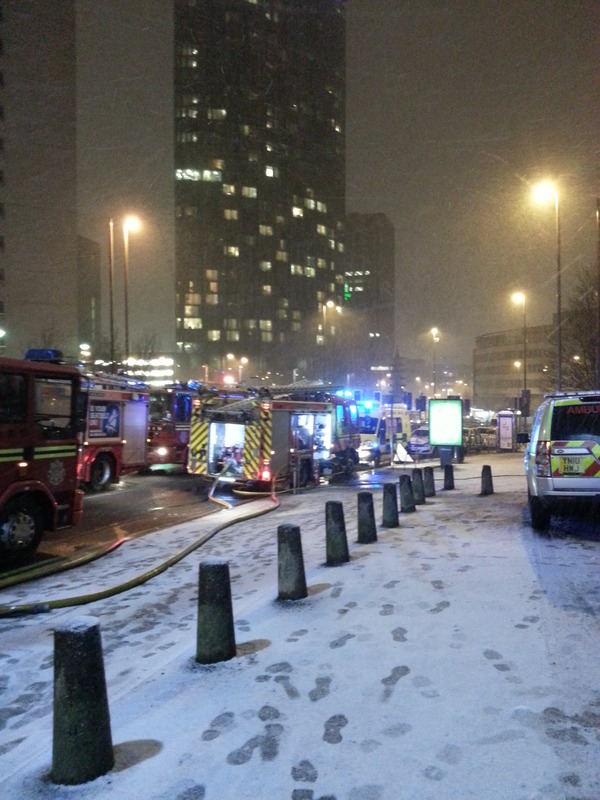 West Midlands Ambulance Service was called to Clydesdale Tower, Holloway Head at approximately 9.40pm. An ambulance, together with a paramedic officer and the Hazardous Area Response Team (HART) attended the scene. A West Midlands Ambulance Service spokesman said: “Crews arrives to find smoke rising from the fourth to the tenth floor. “Working with firefighters at the scene, Crews quickly determined that no occupants were in the residence where the fire originally started. However, a neighbour in her late seventies was treated for smoke inhalation. M42 junction 9 northbound currently blocked by lorry incident. Ambulance crews on scene. 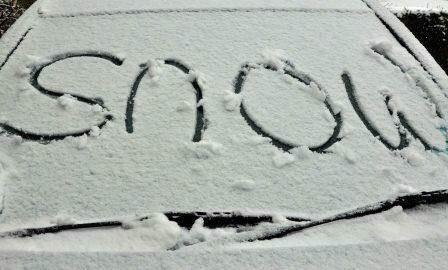 Heavy snowfall expected overnight and Saturday across the West Midlands. Take extra care if you have to venture out! Friday 22nd March 2013 – 6.15pm – Steve Parry. A woman has been taken to hospital after reportedly jumping from a 1st floor window of a house to escape a fire in Birmingham this afternoon. West Midlands Ambulance Service was called to Bangham Pit Road in Northfield at around 3.30pm (Friday). An ambulance crew and a responder paramedic were sent to the scene. A West Midlands Ambulance Service spokeswoman said: “A woman, believed to be 25 years old, had reportedly jumped from a 1st floor window to escape the house fire and had landed on concrete. “Crews immediately began to assess her. The woman had severe back pain and was suffering from smoke inhalation. Crews administered pain relief and oxygen therapy before she was immobilised fully with a neck collar and spinal board. Friday 22nd March 2013 – 1.30pm – Claire Thomas. A woman has died following a flat fire in Stourbridge this morning. West Midlands Ambulance Service was called to a block of flats on Green Street, shortly after 10.00am (Friday). A paramedic area support officer and a responder paramedic attended the scene. A West Midlands Ambulance Service spokeswoman said: “When paramedics arrived they found the fire service tackling a blaze in a flat. Friday 22nd March 2013 – 9.55am – Chris Kowalik. There is a new and easy way to help raise funds for a charity that is teaching lifesavings skills to thousands of people in Herefordshire. Herefordshire Heartstart is a registered charity (no. 1082309), supported by West Midlands Ambulance Service, offering free two-hour courses to anyone aged 10 or over in techniques including CPR (cardiopulmonary resuscitation), the management of severe bleeding, loss of consciousness, choking and chest pain. The charity needs funds to run the courses and you can help raise money by donating spare clothes, shoes, belts and handbags. They must all be clean and in good quality. You can also donate books and damaged laptops. Items can be delivered to clothesbank.co.uk at Unit 8 Aydon Industrial Estate, Holmer Road, Hereford HR4 9UN Mon-Fri 9am-5pm or Saturdays 9.30am-4pm. The company will weigh the items and pay a monetary sum dependant on their weight. If you ask for the money to be given to Herefordshire Heartstart and quote the charity’s number, the charity will get a cheque at the end of the month. The more items you donate, the more money you raise for Herefordshire Heartstart. For more information on Herefordshire Heartstart or to book a course, visit www.herefordshireheartstart.org or email info@herefordshireheartstart.co.uk or contact the Co-ordinator/project Manager Loraine Coleman on 0845 60 60 654. Thursday 21st March 2013 – 4.40pm – Steve Parry. For some, Spring may have sprung but the wintry conditions are set to continue with more snow and ice on the way over the weekend. Weather reports indicate disruptive snowfall is most likely across the northern half of the West Midlands region. In these areas the snow is expected to start falling during the early hours of Friday, resulting in some very difficult conditions during the morning rush hour, and is expected to continue through Friday into Friday night and Saturday morning. During Saturday the snow will become lighter and gradually die out. A West Midlands Ambulance Service spokesperson said: “With the weather conditions expected to deteriorate over the weekend, the public are being advised to take extra care on the roads. The public is also being urged to make sure they ‘choose well’ when they access the NHS at this time. The 999 service is for life-threatening conditions and emergencies, such as chest pain, stroke, serious blood loss or a state of unconsciousness. Other agencies, such as NHS Direct on 0845 46 47, are available to offer advice and assistance on less urgent cases. Thursday 21st March 2013 – 6.10pm – Chris Kowalik. A man has been flown to hospital after the car he was driving collided with an articulated lorry in Staffordshire. West Midlands Ambulance Service was called to the junction of Tolldish Lane and the A51, Great Haywood, shortly before 3.50pm today. 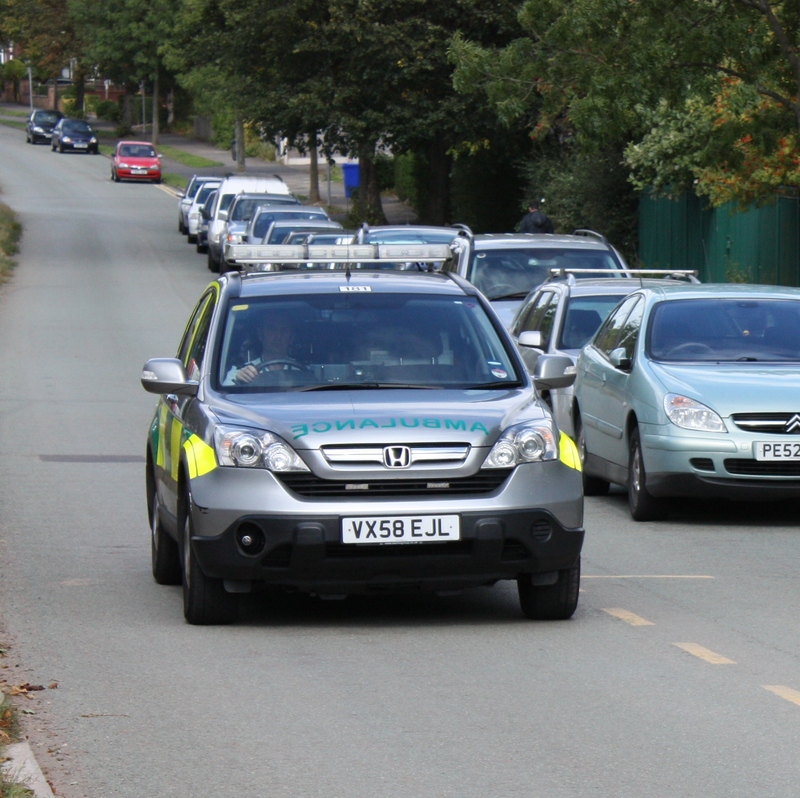 Two rapid response vehicles driven by paramedics attended along with another rapid response vehicle driven by a paramedic area support officer, an ambulance crew and the Midlands Air Ambulance from Cosford in Shropshire. A passerby also stopped to help. A West Midlands Ambulance Service spokesman said: “Crews arrived to find a car towing a caravan and a lorry that had been involved in a collision. The car driver, a man in his 60s, had a laceration to his head, facial injuries, a broken collarbone, a broken ankle and rib injuries. “Splints were applied, pain relief was administered and he was fully immobilised before being flown to the University Hospital of North Staffordshire. Thursday 21st March 2013 – 1.45pm – Chris Kowalik. For ambulance and fire crews in Coventry, today’s cold and wet morning began with the lengthy and complex rescue of a driver from his crashed Landrover. West Midlands Ambulance Service was called to the junction of Coventry Road and Broad Lane in Berkswell shortly after 7.20am. A paramedic area support officer in a rapid response vehicle, a paramedic ambulance crew and the Midlands Air Ambulance crew of a Doctor and a Critical Care Practitioner from Cosford in Shropshire attended. They arrived to find a badly damaged Landrover Defender that had left the road and ended up against a large tree. Trapped in the vehicle was its 18 year old male driver. A West Midlands Ambulance Service spokesman said: “The Landrover had an external rollcage which saved his life but also hindered crews’ ability to get to him. “In the two-and-a-half-hour operation, the fire service with additional assistance from their technical services and ambulance crews worked together to right the vehicle and get to the driver to treat him before getting him out. “To right the vehicle, winching cables were attached to the car then were wrapped around a tree on the opposite side of the road. Using this makeshift pulley system, the Landrover was brought back onto its wheels. The fire service then began to cut into the vehicle using their cutting equipment. The thickness of the rollcage meant it took longer than it otherwise would have. “With the temperature at below freezing point, the driver was beginning to suffer the effects of hypothermia and was given warm fluids. He had a head injury, arm, leg and pelvic fractures and a back injury. He was administered drugs including pain relief. “He was carefully removed from the Landrover, fully immobilised and wrapped in specialist warming blankets before being flown to University Hospital Coventry and Warwickshire. Friday 22nd March 2013 – 7am – Steve Parry. Four people have been taken to hospital following a road traffic collision on the M6 near Corley Services. West Midlands Ambulance Service was called to a location near junction 3/3a shortly after 4am. Two ambulances, a paramedic officer in a rapid response vehicle and the Medical Emergency Incident Response Team (MERIT) were dispatched to the scene. A West Midlands Ambulance Service spokesman said: “On arrival at the scene crews found a van overturned. “A male driver in his thirties was treated for facial, shoulder and chest injuries. A further male in his forties was also treated for facial injuries. Both patients were transferred to the University Hospital Coventry and Warwickshire for further assessment and treatment. Wednesday 20th March 2013 – 8pm – Steve Parry. A teenager has been airlifted to hospital following a road traffic collision in Madeley this afternoon. The incident occurred on The Parkway at the junction with The Maddocks in Madeley just after 4pm. An ambulance, together with a paramedic officer in a rapid response vehicle and the Midlands Air Ambulance based at Cosford attended the scene. A West Midlands Ambulance Service spokesman said: “Ambulance crews arrived to find a pedestrian had been in collision with a car. “A teenage male, believe to be 14 years old, was treated for a serious head injury. The patient was anaesthetised by a doctor at the scene. Wednesday 20th March 2013 – 10am – Steve Parry. 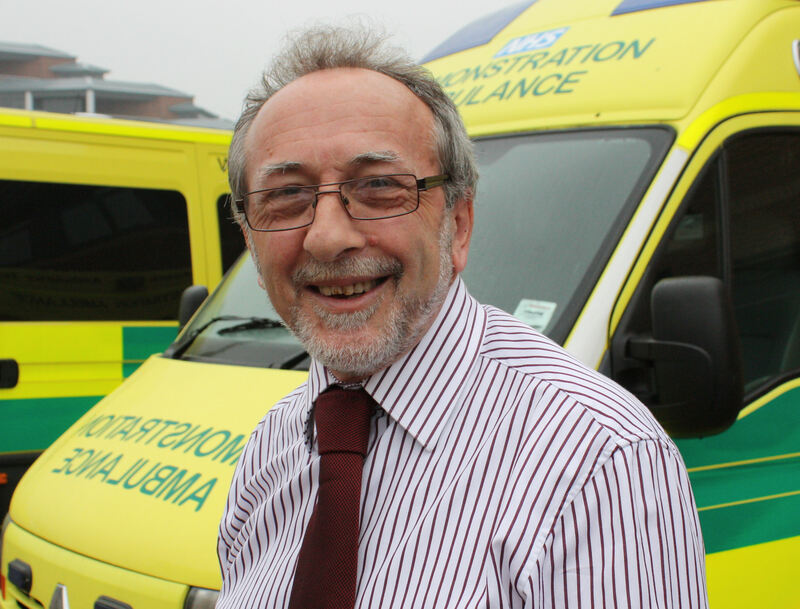 Friends and colleagues at West Midlands Ambulance Service (WMAS) will bid farewell to one of its longest serving members of staff this Thursday when Bill Cody retires after 37 years. Bill Cody (60), who lives in Wall Heath, Kingswinford, has been the WMAS Police Liaison Officer based at the Trust’s headquarters on the Waterfront Business Park, Brierley Hill since 2006. Previously, Bill was responsible for Community Relations at the former West Midland Ambulance Service. Mr Cody started his career in 1976 as an ambulanceman based at Dudley ambulance station. During his time with the Trust, Bill was involved in local politics as a Labour Party Councillor in the Netherton and Woodside constituency. He also had the honour to serve as Mayor of Dudley for the period 1996-97. Bill will officially retire from the Trust at the end of March. Wednesday 20th March 2013 – 9.30pm – Steve Parry. West Midlands Ambulance Service can confirm that it was called to a location near Springfield Park, Kidderminster shortly after 6.15pm. Two ambulances, an officer in a rapid response vehicle, together with the Hazardous Area Response Team (HART) and the CARE team, including a doctor, were alerted to the incident. A West Midlands Ambulance Service spokesman said: “Ambulance crews joined other emergency services in searching a location near Springfield Park after reports of children in difficulty in the water. “A female was recovered from the water and found to be in cardiac arrest. Resuscitation was immediately carried out on the child before the patient was later taken to Birmingham Children’s Hospital. “It is understood that the child later died in hospital. 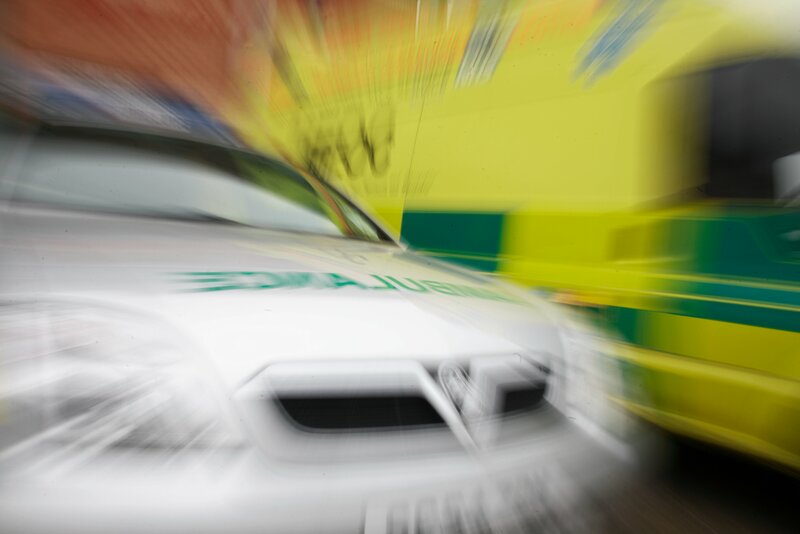 A child has been taken to hospital following a road traffic collision in Sparkhill this evening. The incident occurred in Warwick Road just before 5pm. An ambulance, together with a paramedic officer in a rapid response vehicle and a CARE team including a doctor, attended the scene. “A female believed to be ten years old was treated for serious leg and pelvic injuries. A doctor travelled with the patient and the hospital was alerted to the serious condition of the patient. Monday 18th March 2013 – 2pm – Chris Kowalik. Staff of West Midlands Ambulance Service, police, fire service personnel and members of the public have been honoured for their lifesaving help at a ceremony in Worcestershire. Chief Officer Commendations were awarded at the Long Service and Excellence Awards at The Chateau Impney Hotel in Droitwich on Thursday 14th March during which members of ambulance service staff received awards for long service and good conduct and retirement certificates. Outstanding Achievement Award – Midlands Air Ambulance Paramedic Ian Roberts, based at Strensham. Ian started his career in Worcester in April 1983. He soon started to progress his career, eventually becoming a Divisional Officer at the station. His stay at Worcester ambulance station was not without incident as he was one of the first on scene at the M42 multi-vehicle road accident which involved over 100 vehicles. Opting for air rather than land, Ian became a member of the Midlands Air Ambulance air crew based at Strensham in 2003. He became a full time flight crew member in 2007. From that day to this, he has inspired many ambulance staff, including those now taking their first steps as a flight paramedic. For his professionalism and dedication to duty, the work of Ian Roberts was recognised with an Outstanding Achievement Award. Molly called 999 call to report her young brother suffering a convulsion. When ambulance crews arrived, it became clear that the patient, Jack and his sister Molly, were playing in the back garden of their home when Jack fell on the concrete floor and suffer a head injury. Showing true presence of mind, Molly called her mum and then dialled 999. Molly continued to care for her brother by putting him in the recovery position and did everything she was asked by the ambulance call taker – put the dog away, collect Jack’s medication – and flagged down the arriving ambulance. According to ambulance staff, Molly displayed an incredible mature attitude towards her brother’s situation. members of the public from Birmingham. In August, Rajan Chaudhry a medical student at the University of Birmingham was enjoying a night out when he suddenly collapsed on the dance floor. His friends Jasveer Poonian and Jaskaran Mavi promptly recognised that he was in cardiac arrest and quickly started resuscitation. Paramedics arriving on scene and continued advanced life support before Rajan was taken to hospital. Rajan was discharged from hospital. The intervention of Jaskaran Mavi and Jasveer Poonian saved the life of Rajan who was at the awards ceremony to assist in the presentation of the commendations to his two friends. member of the public from Hereford. Philipa has been recognised by ambulance staff for her actions in going to the assistance of a man who collapsed in cardiac arrest in February last year. Terrified and in shock at witnessing the sudden collapse, Philipa went to aid the patient with CPR before the crew arrived. It was her early intervention that almost certainly saved the life of the patient. member of the public from Wombourne. Liz, a nurse, answered her door to a woman with a five-week old baby in arms who had stopped breathing. Liz commenced CPR until ambulance staff arrived. The baby was later rushed to hospital. The baby’s recovery was the result of quick thinking and prompt life-saving skills performed by Liz on that day. member of the public from Solihull. In situations where a person collapses suddenly it is vital that immediate lifesaving treatment is given before ambulance crews arrive. Paul Sheldon went to the aid of a person who had collapsed in cardiac arrest. As a bystander, he recognised something had to be done and he started to deliver CPR to the patient before medical assistance arrived. His early actions eventually led to the patient surviving and leaving hospital. Paul was awarded a Chief Officer Commendation on the recommendation of ambulance staff at the scene. Danielle was sent to the scene of an incident in Kings Heath, Birmingham. Arriving first on scene, the paramedic was surprised to see a house well alight and no other emergency service on scene. The paramedic could see a woman still inside the property and without hesitation she took the decision to enter the property and proceeded to drag the patient to safety. The patient suffered serious burns in the incident and was taken to Hospital. Danielle was commended for her outstanding bravery and selfless actions at the scene of a significant house fire. all members of the Hazardous Area Response Team based in the Black Country. The Hazardous Area Response Team (HART) are regularly called upon to attend the most serious of incidents in the region. In August, West Midlands Police raided a house in Birmingham for drugs. The premises were barricaded and when entry was finally made, police officers came into contact with a chemical substance spread on the floor causing them to become unwell. 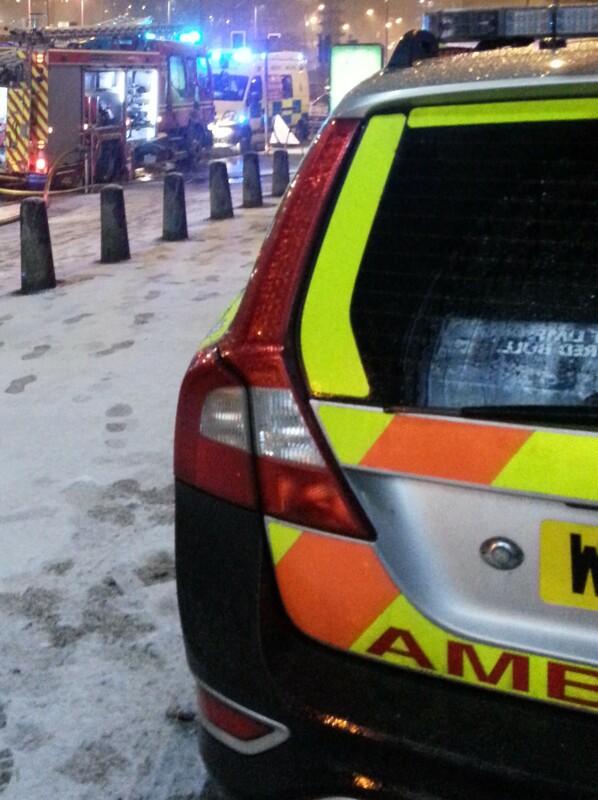 The HART team were on hand to provide expert treatment at the scene. Afterwards the Regional Head of Police Investigations praised the professional support and partnership provided by HART. based at Donnington Ambulance Station in Telford. In September last year, the skills of three ambulance staff from Shropshire were tested to the full when they were called to a mother giving birth during her 23rd week of pregnancy. This is normally far below the time regarded as a ‘survivable birth’. Given the very difficult circumstances, the team set to work delivering and then ventilating the new born as well as treating the mother. Mum and baby were conveyed to Royal Shrewsbury Hospital where they spent many weeks before being discharged. According to press reports at the time, the delivery was described as a ‘miracle outcome’. Two of the three members of staff were unable to attend the awards ceremony. Steve Tarry and a colleague who was unable to attend the awards ceremony were dealing with urgent patient transfers when a call was received for attendance at a cardiac arrest only minutes away. They arrived and gave excellent CPR and medical treatment until and ambulance arrived. Paramedic Mark Iley – based in Worcester. Mark and a colleague who was unable to attend the awards ceremony were sent to a property in Worcester where a patient riding a new mobility scooter had gone off a garden pathway and into a fish pond. The patient was lifted to safety and taken to hospital. They were commended for their efforts in this unusual case. Tracey Morrell, Assistant Chief Ambulance Officer based in Brierley Hill. Tracey is commended for her considerable efforts during the festive season, working with the Temporary Minor Injury Unit based in central Birmingham. The unit is designed to provide medical assistance to party revellers to ease the demand on 999 services. This year saw the highest number treated at the centre in 6 years. Tracey was assaulted for her trouble, which sadly highlights the inherent dangers ambulance staff face as they go about their work. Motorcycle Paramedic Steven Cooper based in Birmingham. Jon was off-duty and shopping in Birmingham city centre when he suddenly noticed a young woman who looked in some distress. Jon decided to go and see if he could help. It turned out that the woman was having contractions and was within minutes of going into labour. Motorcycle paramedic Steven Cooper arrived just in time and between Steve and John they successfully delivered a baby boy in the middle of a busy shopping street. Mum and baby were later transferred to Hospital and are doing fine. Robert and a colleague who was unable to attend the awards ceremony were attending to a patient during the early hours of the morning at an apartment complex when they noticed smoke billowing from a neighbouring flat. With Police assistance, Robert Jennings and Philip Styles gained entry and three family members were woken from their beds and quickly evacuated from the premises. It turned out to be a chip pan fire with Robert removing it from the flat by throwing it outside as it burst into flames. He admits in hindsight that it may not have been the best idea, but he acted on impulse. This was an act above and beyond the call of duty which undoubtedly saved a family and their property. Aimee and Mike were first on scene of a fatal road traffic accident on the M6 on Christmas Day. Sadly there was loss of life in the accident, which was widely reported in the national media. Aimee had only been practicing as a qualified paramedic for a matter of days and Mick, as an Emergency Care Assistant, was also relatively new to the role. Both Aimee and Mick did everything they could to manage the scene to the highest professional standards. 7-year old Ricky-Lee Poulton was seriously injured outside his home in Halesowen last August. Ricky-Lee suffered serious internal and pelvic injuries in a collision with a van. Ambulance staff were quickly on the scene and treated Ricky-Lee for his injuries before he was taken to hospital. Ricky-Lee is now well on the way to recovery and back at school. Ricky-Lee and his family were present at the awards ceremony and assisted in the presentation of the three commendations. Emergency Medical Technician Sean Bednall based in Sandwell. Philip Clarke and Mark Haywood – West Bromwich Albion Stewards. It was a massive team effort to revive Des Humphries the West Bromwich Albion fan who was just settling into his seat to watch the Baggies when he suffered a cardiac arrest. Ground stewards, paramedics and supporters sprang into action to save Des after his heart stopped beating shortly before the derby game against Aston Villa at The Hawthorns in April last year. Off duty ambulance technician, Phil Turton, was sitting next to Des and his son Neil. Phil immediately commenced CPR as ambulance crew Stephanie Whitehouse and Sean Bednall, together with stewards Philip Clarke and Mark Haywood joined forces to treat Des. A defibrillator was used before he was taken to hospital where Des underwent heart surgery during an eight-week stay. Des and his son Neil attended the awards ceremony and assisted in the presentation of the commendations. PC Paul Bennett and PC Craig Spencer of West Midlands Police based in Walsall. For providing excellent CPR to a patient who gained a pulse a pulse when ambulance staff arrived. PC Tracey Robinson of West Mercia Police based in Hereford. Tracey was out jogging and off-duty when a man suffered a cardiac arrest at the wheel of his car. Tracey pulled the gentleman from the car and started CPR until the arrival of the ambulance. PC Philip Oldacres of West Mercia Police, Birmingham West & Central. 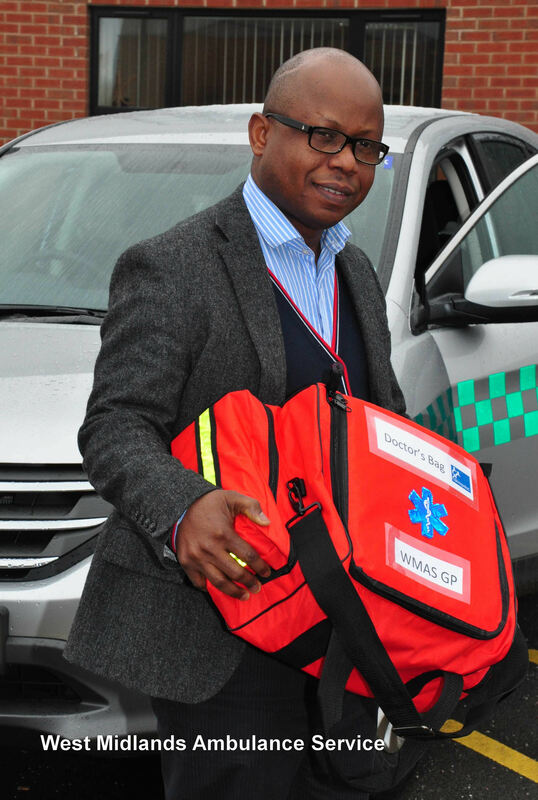 In recognition of his personal and professional conduct in treating a patient following an incident in Birmingham. Kevan Skidmore, Community First Responder. PC Lawson was first on scene at an incident where a man was found ‘engulfed in flames’. PC Lawson managed to extinguish the flames and was joined by Community First Responder Kevan Skidmore who dressed the burns and provided a comprehensive handover to arriving ambulance staff. Neil Stokes, Firefighter, West Midlands Fire Service based Hay Mills. Firefighters worked with paramedics at the scene of a difficult and emotional incident in the Black Country. They have been nominated by ambulance staff who noted their professionalism and significant assistance at a difficult and demanding 999 call. Note: A cardiac arrest is not a “heart attack” and should not be referred to as such. Sunday 17th March 2013 – 9.00pm – Claire Thomas. 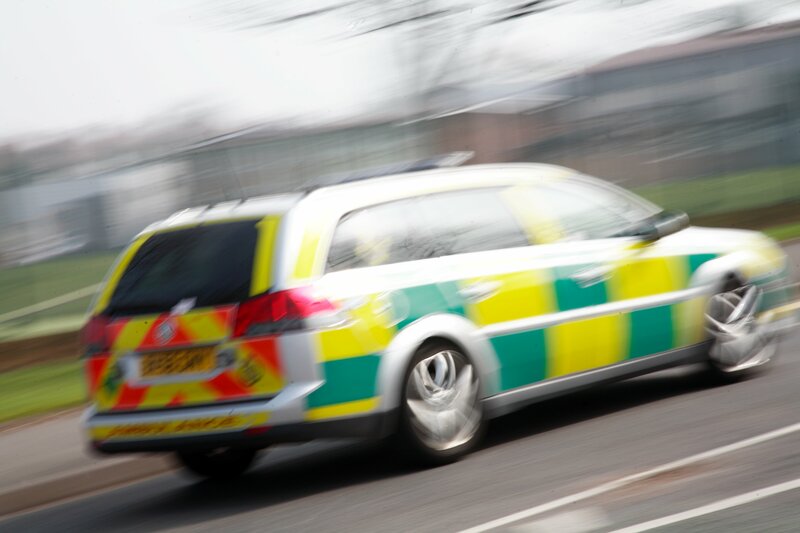 A motorcyclist and pillion have been seriously injured following a collision with a car in Solihull this evening. The incident happened outside The Barn public house on Stratford Road in Hockley Heath at 6.15pm (Sunday). Two ambulances, two paramedic officers and medics from the West Midlands Central Accident Resuscitation Emergency (CARE) Team attended the scene. A West Midlands Ambulance Service spokeswoman said: “Crews arrived to find a car and a motorcycle that had been involved in a significant collision. The rider, a man in his 50s, suffered a fractured pelvis, leg and wrist. Crews and the medics administered advanced analgesia to stabilise his condition whilst they assessed and treated his injuries. He was fully immobilised with a pelvic and leg splint and neck collar and spinal board before being taken to Queen Elizabeth Hospital Birmingham. A medic travelled in the ambulance to hospital to continue treatment en route. “The pillion passenger, a woman in her 40s, sustained serious multiple fractures. The woman was given advanced pre hospital treatment at the roadside by the medics in order to stabilise her condition which included advanced pain relief, fluids and full immobilisation. The woman was transferred by land ambulance on blue lights to the same hospital for further emergency treatment. The second medic accompanied the woman to A&E due to her condition. Medics were pre alerted to the arrival of both patients who were said to be in a serious condition. Saturday 16th March 2013 – 6.45pm – Claire Thomas. A man had to be airlifted to hospital following a crash on the M6 this morning in Stoke on Trent. West Midlands Ambulance Service was called to the southbound carriageway of the M6 between junctions 15 and 14 in Hanchurch at 11.30am (Saturday). Two ambulances, a paramedic area support officer and the Midlands Air Ambulance from Cosford with a doctor on board attended the scene. A West Midlands Ambulance Service spokeswoman said: “Crews arrived to find a van which had collided with a barrier. “All three occupants were out of the vehicle. The driver, a man believed to be in his 20s, suffered a leg and pelvic injury and was in a lot of pain. The doctor and crews administered pain relief to the man and stabilised his condition before he was fully immobilised. The man was their airlifted to University Hospital North Staffordshire for further treatment. “The two passengers suffered relatively minor injuries and were immobilised as a precaution by crews before being taken to the same hospital for further assessment. Saturday 16th March 2013 – 5.45am – Claire Thomas. A lorry driver has been taken to hospital after the HGV he was driving overturned in Coventry this morning. West Midlands Ambulance Service was called to the junction of the A45 and A46 in Baginton shortly after 9.30am (Saturday). An ambulance, a paramedic area support officer and two doctors and a paramedic from the Warwickshire and Northamptonshire Air Ambulance base attended via land due to their close proximity. A West Midlands Ambulance Service spokeswoman said: “Crews arrived to find a heavy goods vehicle, carrying around 30 tonnes of bananas, overturned onto its drivers’ side. The driver, a man in his 50s, was trapped in the cab by his right arm. “The doctors and crews administered pain relief to the man, who had a shoulder injury and nasty injury to his trapped arm, and worked with the fire service to quickly establish the best way of extricating the man from the wreckage. The man’s arm was pinned between the lorry door and the road so the fire service used air bags to carefully lift up the side of the lorry in order for crews to release the man. Saturday 16th March 2013 – 7.00am – Claire Thomas. A man has been seriously injured after the car he was travelling in collided with a tree in Telford in the early hours. West Midlands Ambulance Service was called to the A442 Queensway, near the Hadley Park roundabout, Hadley, shortly after 1.20am this morning (Saturday). An ambulance, two responder paramedics and the MERIT trauma doctor were sent to the scene. A second ambulance, en route to hospital with a patient on board, came across the RTC and stopped to help before crews arrived. A West Midlands Ambulance Service spokeswoman said: “When crews arrived they found three patients out of the car. One passenger, a man, had been pulled clear from the wreckage by police prior to the ambulance services arrival and was in a serious condition. “The man sustained a significant head injury and chest injury in the crash. Crews and the doctor quickly worked to stabilise his injuries. The doctor anaesthetised him on scene due to his worsening condition. The man was immobilised with a neck collar and spinal board, given fluids and drugs before being taken by land ambulance on blue lights to University Hospital North Staffordshire for further emergency treatment. The doctor travelled in the ambulance with the patient. Medics were pre alerted to the arrival of the man who, at the time, was in a serious condition. I have no more details regarding this incident. Friday 15th March 2013 – 2.50am – Claire Thomas. Doctors and nurses wanting to make a difference in their spare time are saving lives alongside West Midlands Ambulance Service. The West Midlands Central Accident Resuscitation Emergency (CARE) team is a charitable organisation consisting of 85 doctors and nurses who volunteer their time and life-saving skills responding to 999 calls across the Region. They have been providing life-saving care in partnership with WMAS for 22 years and work alongside ambulance staff to provide specialist immediate care skills and advanced medical care to patients. Every weekend a team of medics consisting of a doctor, nurse, paramedic officer and trainee medic are on hand to attend serious incidents. The CARE Team looks after critically ill patients from those severely injured in car crashes, industrial incidents, shootings and stabbings to adult and child cardiac arrests and patients with serious medical problems such as heart attacks, fits, and breathing problems. As well as providing help at the weekend, three doctors also respond to serious incidents throughout the week in their own cars and in their own time. A nurse is also due to start solo responding in the near future. Martin Horton, an Advanced Clinical Practitioner at Heartlands Hospital, has been volunteering with the charity for seven years: “We offer life-saving interventions such as surgical skills, anaesthesia, sedation and stronger pain relief which complement those of a paramedic and often means we learn from each other. By doing this job it challenges me and makes me think every single day, which is very rewarding as a nurse. Dr Rob Moss, an Anaesthetic Registrar from the Stoke School of Anaesthetics, is the Fundraising Lead for the charity. He said: “I volunteer, not only because I am passionate about saving lives, but because it’s important to me to make a difference by improving patient outcomes and by supporting our ambulance service I feel I make a difference to local communities. “It’s different from my day job in the sense of you never quite know what a job will bring. I like being able to bring my medical skills and knowledge to the front line working alongside paramedics as I believe we can make a difference to a patients’ survival and their long-term outcomes. If you think you can help, or if your company are interested in supporting the West Midlands CARE Team either though financial support, sponsorship or branding, please contact Dr Robert Moss, Fundraising Lead on 0121 471 2834 visit http://www.wmcareteam.co.uk/ or email office@wmcareteam.co.uk. You can follow the CARE team on Twitter via @wmcareteam. As well as saving lives on the front line, the CARE Team also provide a broad range of clinical education and training to the ambulance service and hospital staff. They’re also involved in medical research to further improve the care of patients by changing clinical practices in the pre hospital environment.